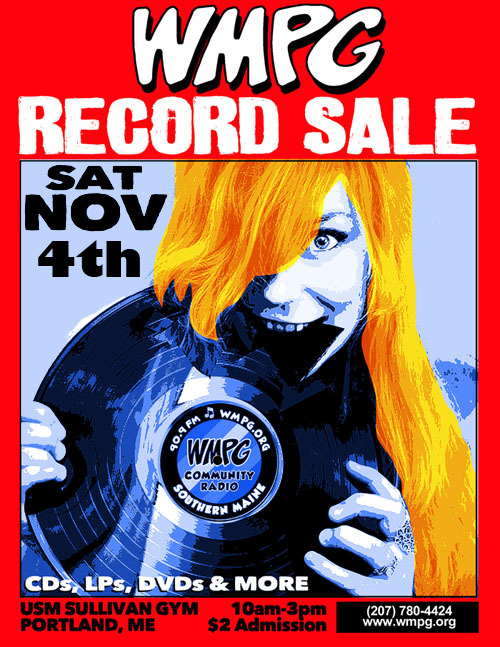 Wow – Thanks to everyone who made the 22nd Annual Record Sale a huge success! The weather was perfect, the set-up and clean-up was the fastest ever. 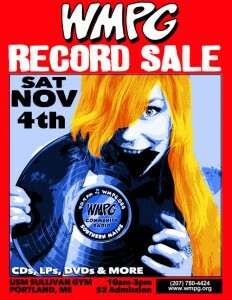 After deducting expenses, donations to WMPG from this event are over $10,000. Thanks to everyone who donated records and CDs or helped work the event. It couldn’t have happened without all your help. The Friday night load-in was amazing! We had more than 30 people here and had the truck loaded in under an hour. Smoothest load-in ever! The clean-up was done in two hours! The sale was very well attended with more than 500 people paying to get in. And guess what – we are now seeking donations for our 2018 sale! Clear away those Records/CDs/Turntables/Amplifiers and Speakers taking up space! Just give us a call at (207) 780-4424 or e-mail stationmanager@wmpg.org. Our crack team of drivers will quickly arrive at your house to clean away all those old records that are taking up space! We will then give you a receipt which can be used for a tax deduction!